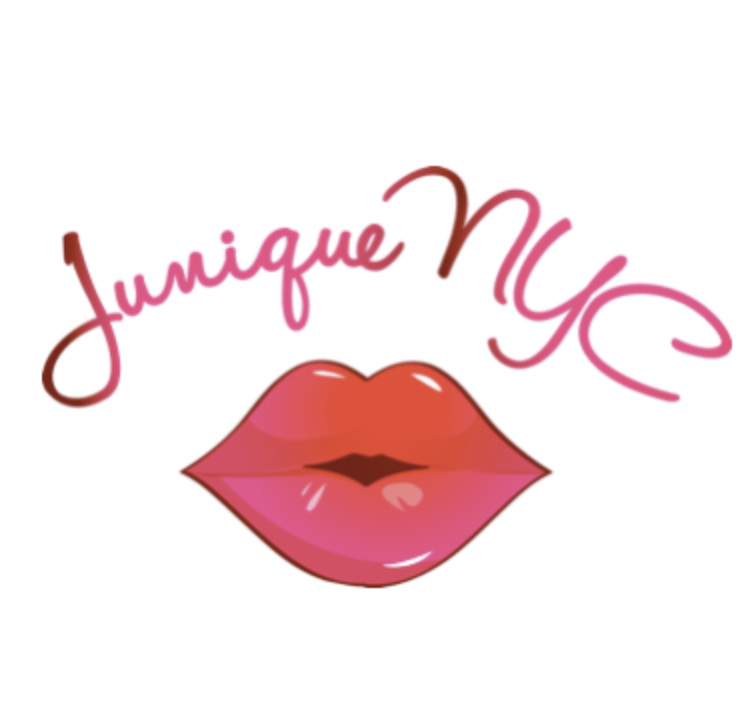 I had the exciting opportunity to review and try out Junique NYC Cosmetics. They are buttery smooth and handmade. I think that my favorite part about them is that they smell delicious and are packaged so beautifully. Junie Maleh, the creator and founder of Junique NYC kindly sent me some of her cosmetics to talk about and review. The first cosmetic is the lip balm. It goes on very smoothly and leaves the lip feeling very wet and moist. I really appreciate how it does not leave a tint on the lip--it is strictly a moisturizer. A key part about to the lip balm is how it's not sticky, it's a great refresher and feels almost barely there. It does a great job of leaving the lip shiny and healthy. The lip scrub is one of my favorite products Junie sent. It tastes amazing and leaves the lip feeling protected, covered, and plump. One of the key features here is that a little goes a long way, there is a lot of product in the container and you don't need to apply a great deal in order for it to work. The final cosmetic I tried was the chapstick. Unlike most other chapstick the mere feel of this one is very refined. It feels rich and creamy. It is very soft on the lip and Junie offers so many yummy and inviting flavors. I think out of all three she sent this one is my favorite.